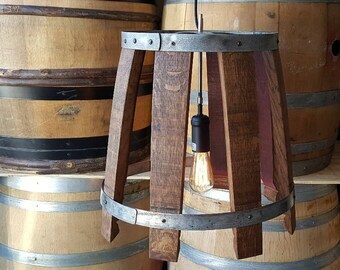 CRAFTSMAN Collection- Catch - Wine Barrel Chandelier / made from salvaged Napa wine barrels - 100% Recycled! ATOM Collection - Dualize - Wine Barrel Chandelier / made from CA retired wine barrels - 100% Recycled! ATOM Collection - Plicate - Wine Barrel Chandelier / handmade from retired California wine barrel rings - 100% Recycled! 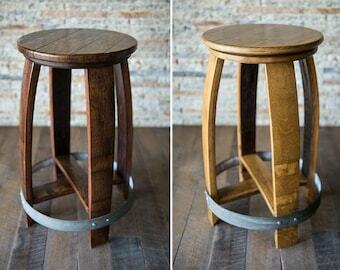 CRAFTSMAN Collection - Drum - Wine Barrel Chandelier / made from salvaged Napa oak wine tanks - 100% Recycled! CRAFTSMAN Collection - Cuspidate - Wine Barrel Pendant Light / made from salvaged Napa wine barrels - 100% Recycled! 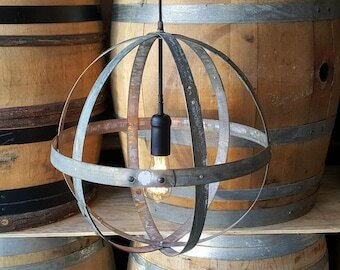 RADIANCE Collection - Resplendent - Wine Barrel Head Adjustable Chandelier / from reclaimed Napa wine barrels - 100% Recycled!